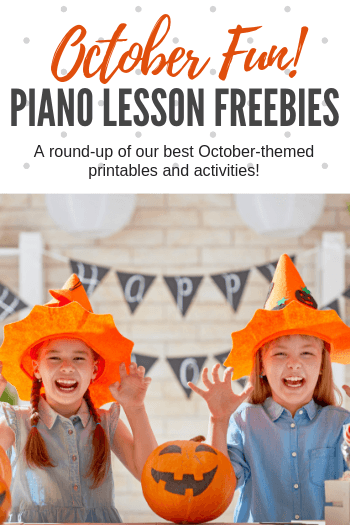 Home / Free Printables / Get Ready For October With This Goody Bag Of Piano Lesson Printables! The calendar flipped over this past weekend and my thermometer took a dive. That officially brought me out of summer mode and sent me scurrying for my October Fun Files! Nothing re-energizes piano students (and piano teachers!) better than a fun theme and a break from routines. And while we have a bunch of new and exciting things for October to share with you on the blog this month, we thought it would be handy to start the month off by rounding up some Halloween fun that we’ve created in the past. So… prep your printers or put those Staples employees on standby… because October in your studio is going to be frightfully fun! Halloween Improv Activity: This is a quick and easy way to bring some creativity into your piano lessons. Even if you’ve never taught improv before, this activity is easy to prep and even easier to teach! 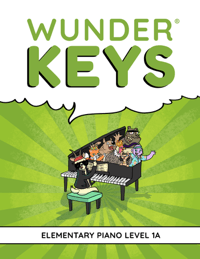 Surprise your piano students with the chance to find freedom on the keys with our Halloween Improv Activity. While you’re on the creativity train, it’s a great time to bring out our Halloween Composing activity. 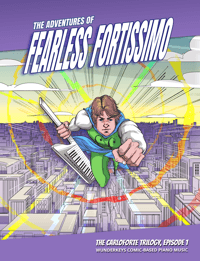 Designed for your young piano students, it provides not only composing fun but also enjoyable sight-reading practice! Now that your piano students are happily groovin’ on the bench… it’s a great time to bring out our Monster Mash-Up Piece! With a pair of scissors, some tape and an excited piano student, you can create a gazillion different combinations of monster-themed fun in this unique freebie piece. 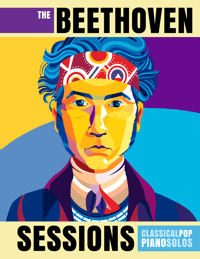 Fall-Themed Piano Repertoire Is Here! 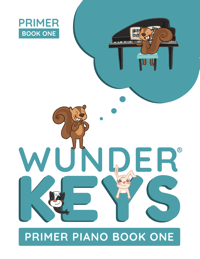 Our newest release from PianoBookClub, The Mysterious Case of Chewtwig van Beaverton, is the perfect Early Elementary level resource for October. 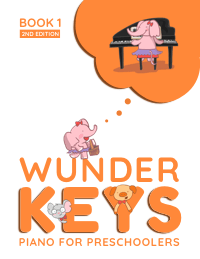 With an interactive piano mystery to solve and seven Early-Elementary stepping and skipping focused pieces (each paired with a teacher duet!) it’s a slam-dunk… even if your kids don’t participate in Halloween! 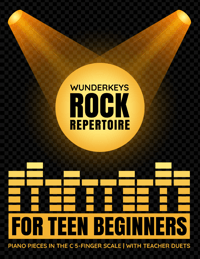 If you’re prepping for a fall recital these student/teacher duets are your answer for the littlest ones in your studio. 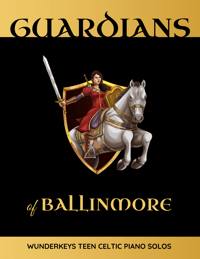 Get on board with PianoBookClub here.